Attachment theory was conceptualized by Dr. John Bowlby, a British psychologist, in the late 1940s and has been tested and validated for well over 70 years in a variety of research fields. Attachment is used to explain the bond between a child and his or her caregiver(s). Attachment bonds with primary caregivers can help or hinder an infant's ability to down regulate stress. 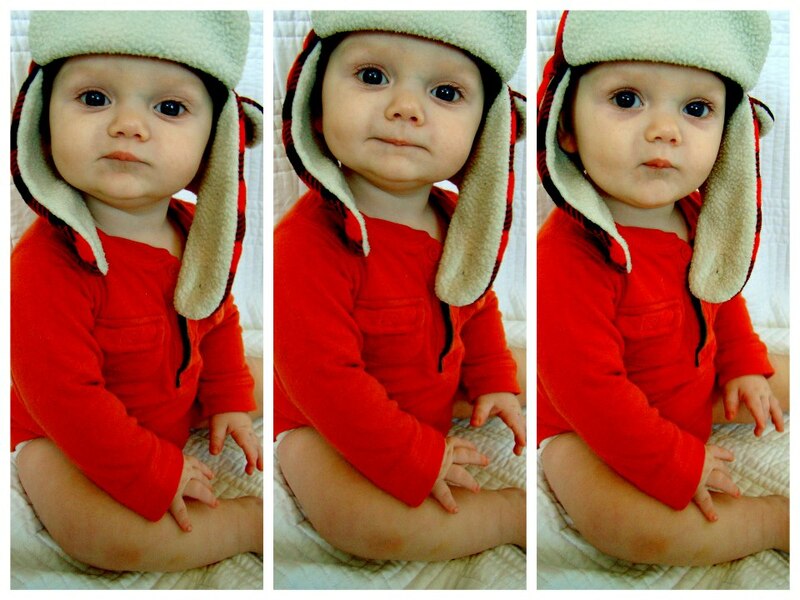 Infants experience all kinds of mild, moderate, and severe distress. Infants are not born with the ability to cope with this stress. Instead, they need a caring adult to help them get through the difficult feelings they are experiencing. Based on the sensitivity and consistency of caregiver responses, attachment bonds are developed. Around 18 months of life, the patterns of behavior that created bonds with primary caregivers help babies develop an attachment style. 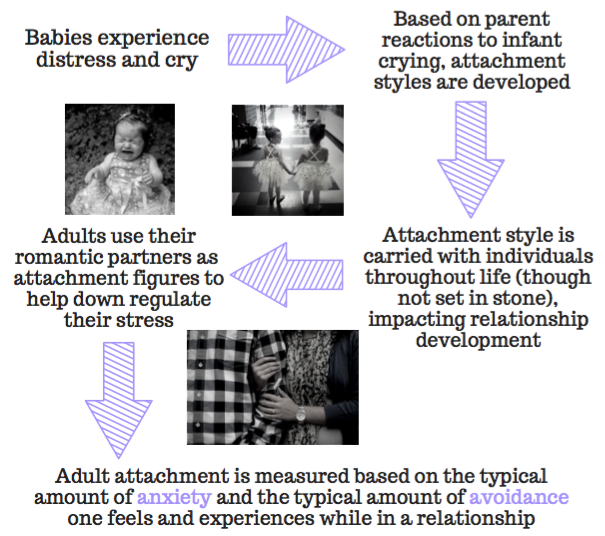 Children carry this attachment style with them through out life, impacting how they start, maintain, and end peer, family, and romantic relationships with others. 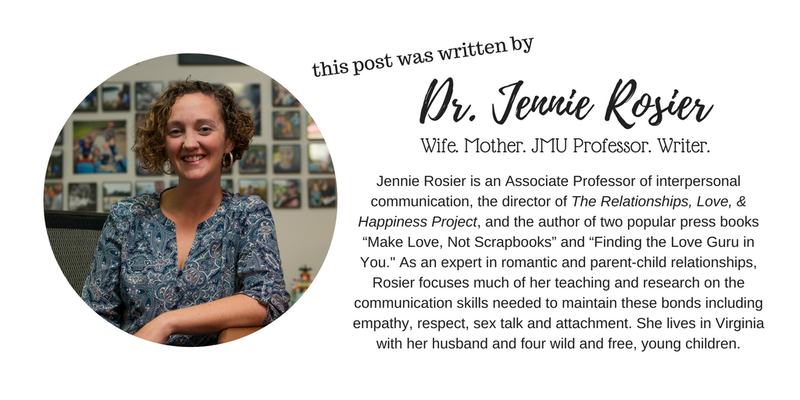 In addition, our attachment style affects how we communicate, positively (or negatively) view the intentions of other people, and react to everyday stress or severe trauma. Thus, the interactions that babies have with their caregivers during the first 18 months of life are indicators of social and emotional development throughout life. 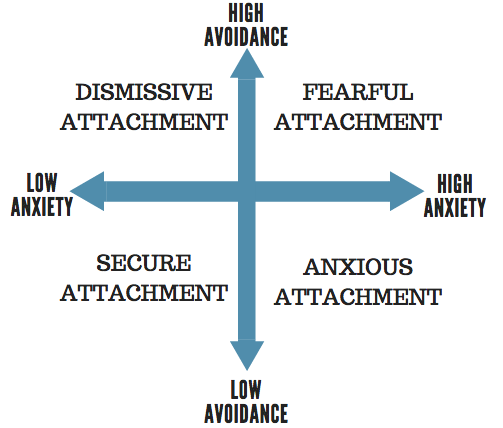 This anxiety and avoidance combine in different ways to create a person’s adult attachment style, which researchers typically identify as four styles: secure (low anxiety, low avoidance), anxious preoccupied (high anxiety, low avoidance), dismissive avoidant (low anxiety, high avoidance), and fearful avoidant (high anxiety, high avoidance). Most people do not actually fit nicely into one of these groups. Instead, many have a primary attachment style with some behavioral tendencies from one (or more) of the other styles. For instance, you might be securely attached with some dismissive tendencies. This would mean that in most situations and with most relationship partners, you feel secure. 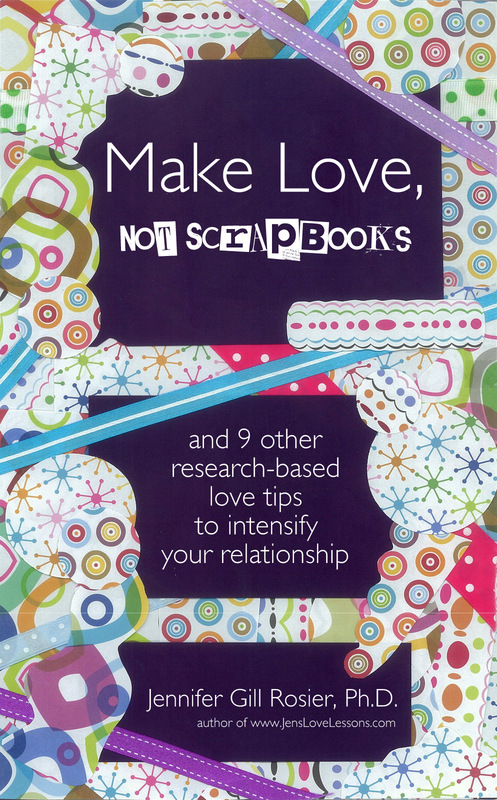 But sometimes, or with certain relationship partners, you might feel less secure. 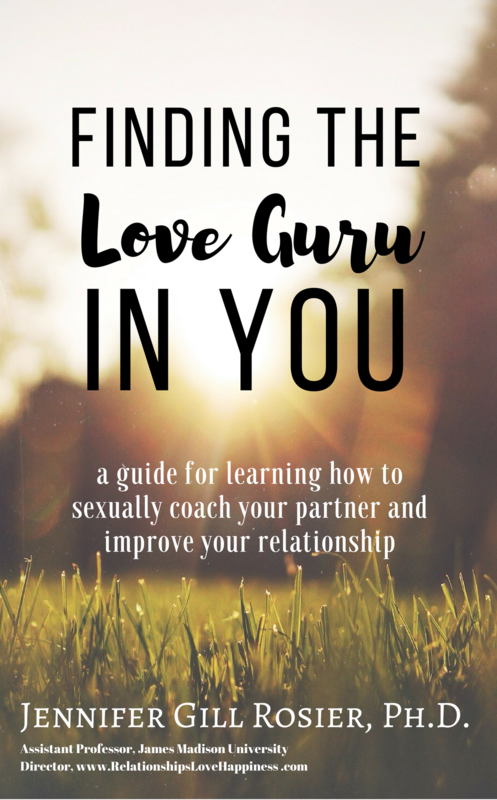 If you have dismissive tendencies, you might feel like you need more space or independence from your partner or you might go as far as feeling like you don’t even need your partner. Bartholomew, K., & Horowitz, L. M. (1991). 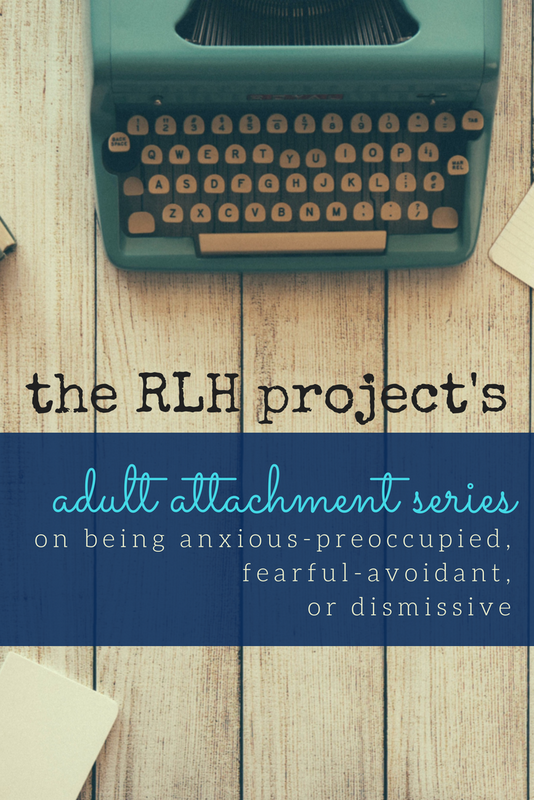 Attachment styles among young adults: A test of a four-category model. Journal of Personality and Social Psychology, 61, 226- 244.